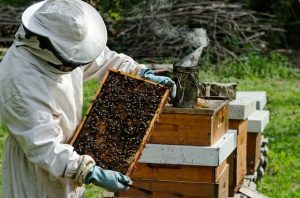 In keeping with the Mystic Krewe’s celebration of every flavor of knowledge, our next “Krewe Klass(tm)” is of an interesting and esoteric topic: Beekeeping! 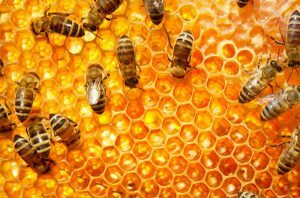 Everybody knows about bees and the product of their labor: Honey, but did you know there’s much more to them? Local businessman, K.J. 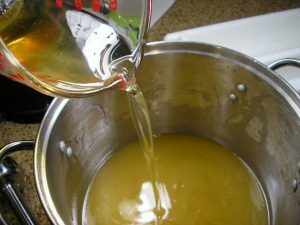 Lodrigue, owner of KJUN.US, LLC will be bringing samples of his products and giving a powerpoint presentation of the ins and outs of beekeeping and all the really cool products he makes with honey and beeswax! “We are local Louisiana beekeepers making and selling local honey and beeswax products. Our colonies have been treatment free from harsh mite treatments for over a decade. This means that our RAW & UNFILTERED honey and beeswax is as uncontaminated as we can make it! In addition to selling honey and beeswax products (such as body lotions, lip balms, old fashion homemade soaps, and pure beeswax candles), we also sell nucs (or “small bee colonies”), queen bees, cypress top bar hives, and cypress long hives. We will also do pollination contracts, but we only service small farmers needing just a 8-20 hives per location. WHEN: Friday, November 18th, doors open at 6pm, class is from 6:30pm-8pm. The PinChurch will stay open for another hour after (till 9pm), but will close early due to an event the following day. Our venue is private. For events like this, we sell a limited number of pre-order tickets. People who purchase tickets will have details and directions e-mailed to them. For any further questions contact: events(at)mystickrewe.com. If there are tickets available, use the link below. This form is for non-members of the Mystic Krewe. There are a limited number of tickets available to the public. You’ll be contacted via e-mail with details following your purchase. Thanks for your support!